When in Adelaide, make a side trip to see The Cedars in Hahndorf, approximately 30 minutes away. 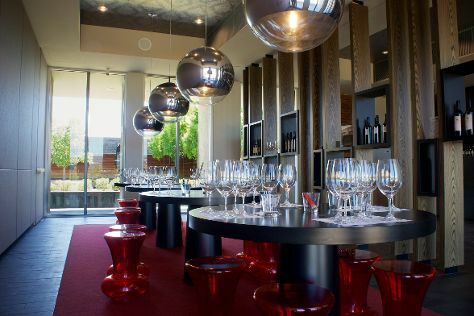 Dedicate the 1st (Sat) to wine at some of the top wineries in the area. 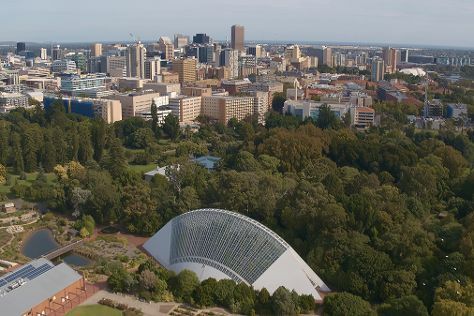 The adventure continues: take in nature's colorful creations at Adelaide Botanic Garden, don't miss a visit to Adelaide Oval, admire the masterpieces at Art Gallery of South Australia, and look for all kinds of wild species at Cleland Wildlife Park. To see photos, where to stay, other places to visit, and tourist information, read our Adelaide trip planner . Queenstown, New Zealand to Adelaide is an approximately 8.5-hour flight. Traveling from Queenstown to Adelaide, you'll gain 2 hours due to the time zone difference. In May in Adelaide, expect temperatures between 22°C during the day and 12°C at night. Finish up your sightseeing early on the 4th (Tue) so you can go by car to Victor Harbor. Victor Harbor is a town in South Australia on the south coast of the Fleurieu Peninsula, about 80 km south of the centre of Adelaide. Explore the numerous day-trip ideas around Victor Harbor: Aldinga Beach (in Aldinga Beach), Fleurieu Hills Vineyard (in Willunga) and McLaren Vale (Primo Estate, Goodieson Brewery, & more). The adventure continues: head off the coast to Granite Island, contemplate in the serene atmosphere at Newland Memorial Uniting Church, take an in-depth tour of Encounter Coast Discovery Centre, and brush up on your knowledge of spirits at Encounter Coast Spirits. To find more things to do, maps, other places to visit, and more tourist information, read our Victor Harbor holiday planner. You can drive from Adelaide to Victor Harbor in 1.5 hours. Other options are to take a bus; or do a combination of train and bus. In June, daytime highs in Victor Harbor are 18°C, while nighttime lows are 8°C. Cap off your sightseeing on the 8th (Sat) early enough to travel to Kangaroo Island. Spend the 9th (Sun) exploring nature at Flinders Chase National Park. 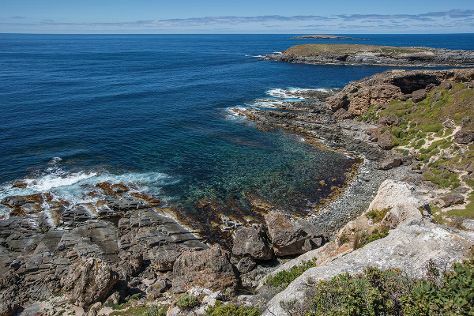 The adventure continues: look for all kinds of wild species at Seal Bay Conservation Park, explore the striking landscape at Admirals Arch, enjoy breathtaking views from Cape du Couedic Lighthouse, and get outside with Remarkable Rocks. For where to stay, reviews, photos, and more tourist information, use the Kangaroo Island tour planning site . You can do a combination of car and ferry from Victor Harbor to Kangaroo Island in 2.5 hours. Another option is to do a combination of bus and ferry. Cap off your sightseeing on the 12th (Wed) early enough to travel to Port Lincoln. Spend a fascinating day underwater on the 13th (Thu) with a shark diving experience. Spend the 15th (Sat) exploring nature at Coffin Bay National Park. There's still lots to do: kick back and relax at Fishery Bay, go for a walk through Parnkalla Walking Trail, stop by Boston Bay Wines, and cruise along Winter Hill Lookout. To find reviews, where to stay, ratings, and more tourist information, read our Port Lincoln route maker app . Fly from Kangaroo Island to Port Lincoln in 3 hours. Alternatively, you can do a combination of car and ferry; or do a combination of taxi, ferry, and bus. Wrap up your sightseeing on the 15th (Sat) early enough to travel to Mount Gambier. Venture out of the city with trips to Naracoorte Caves National Park (in Naracoorte), Penola (Sharam Cottage, Petticoat Lane, & more) and Coonawarra (Whistle Post Wines, DiGiorgio Family Wines, & more). There's still lots to do: contemplate the waterfront views at The Blue Lake, appreciate the views at The Valley Lake, take in the dramatic natural features at Umpherston Sinkhole, and experience rural life at Echo Farm. To see ratings, where to stay, other places to visit, and other tourist information, use the Mount Gambier trip itinerary maker website . You can fly from Port Lincoln to Mount Gambier in 3.5 hours. Another option is to drive. In June, plan for daily highs up to 15°C, and evening lows to 7°C. Wrap up your sightseeing on the 19th (Wed) to allow time to travel to Coober Pedy. Coober Pedy is known for museums, historic sites, nature, wildlife, and shopping. Your plan includes some of its best attractions: admire the striking features of Faye's Underground Home, explore and take pictures at Tom's Working Opal Mine, take in the architecture and atmosphere at St Peter & Pauls underground Catholic Church, and look for gifts at Seven Stones Designer Jewellers. To see maps, photos, more things to do, and more tourist information, read our Coober Pedy vacation site . You can fly from Mount Gambier to Coober Pedy in 5 hours. Alternatively, you can drive; or take a bus. Traveling from Mount Gambier in June, you will find days in Coober Pedy are somewhat warmer (20°C), and nights are about the same (9°C). Finish up your sightseeing early on the 22nd (Sat) so you can travel to Darwin. Go for a jaunt from Darwin to Batchelor to see Litchfield National Park about 1h 20 min away. Spend the 24th (Mon) wandering through the wild on a nature and wildlife tour. 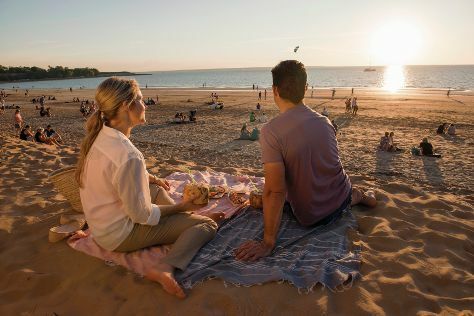 Next up on the itinerary: kick back and relax at Mindil Beach, take in the waterfront at Darwin Wharf Precinct, brush up on your military savvy at Darwin Aviation Museum, and take an in-depth tour of RFDS Darwin Tourist Facility. Planning Darwin trip won't be overwheling when you use's Insprock itinerary maker. Do a combination of bus and flight from Coober Pedy to Darwin in 10.5 hours. Alternatively, you can fly; or drive. Expect warmer temperatures when traveling from Coober Pedy in June; daily highs in Darwin reach 36°C and lows reach 24°C. Finish your sightseeing early on the 27th (Thu) to allow enough time to travel back home.